A US defense contractor won more than $18 million to supply Egypt and Iraq with infrared countermeasure flares to protect aircraft, according to the Pentagon. WASHINGTON (Sputnik) – A US defense contractor won more than $18 million to supply Egypt and Iraq with infrared countermeasure flares to protect aircraft, the Defense Department said in a press release. "Armtec Countermeasures Company [of] Coachella, California has been awarded an $18,033,583… Foreign Military Sales (Egypt and Iraq) contract for the procurement of the infrared countermeasure flares," the release stated on Tuesday. Work on the contract will be performed in East Camden, Arizona over the next two years with an estimated completion date of May 31, 2019, the Department of Defense said. بحضور قائد القوة الجوية الفريق الطيار الركن انور حمد امين و ممثل السيدرئيس الوزراء الفريق الركن خالد حمود جبار و جمع من ضباط القوة الجوية وجمع من ضباط استراحة الابطال جرى آستقبال جثمان الشهيد الرائد طيار نور فالح حزام الخزعلي الذي آستشهد في الولايات المتحدة الامريكية بعد تحطم طائرته آثناء طلعة تدريبية ، و تمت عملية تشييع الشهيد في قاعدة الشهيد محمد علاء الجوية . 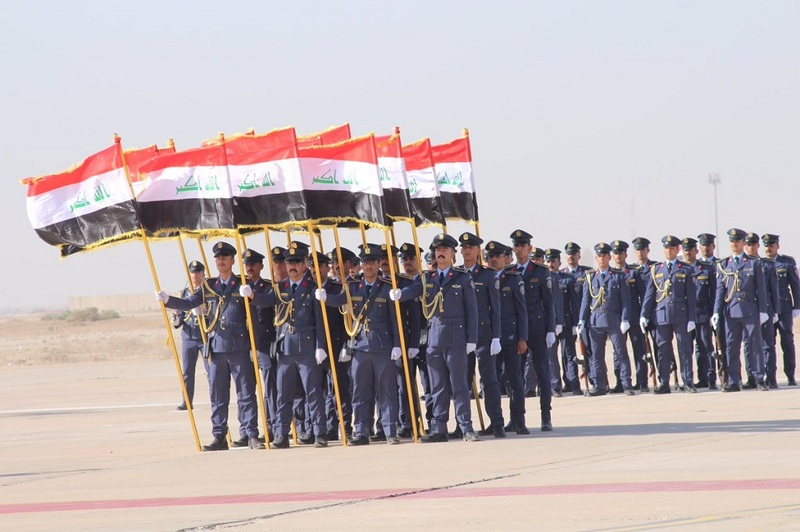 Kirkuk (Iraq) (AFP) - Iraqi forces have found the bodies of two of the crew of a plane shot down by the Islamic State group last year, the air force said on Tuesday. 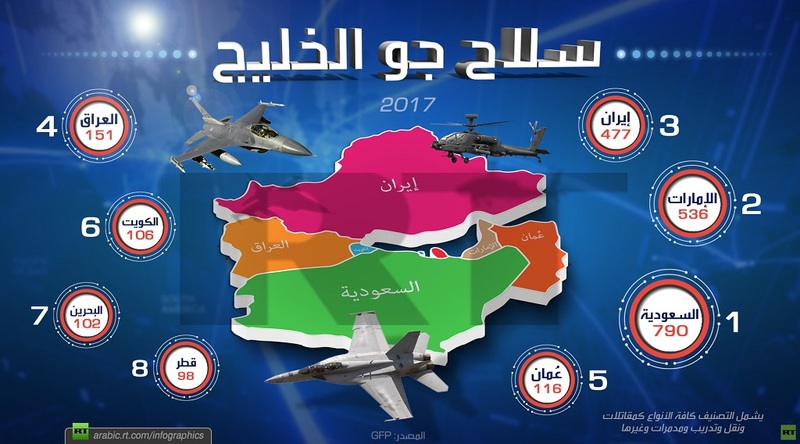 The Cessna 208 Caravan was downed over the northern town of Hawija, a former jihadist bastion which was retaken by government forces last week. 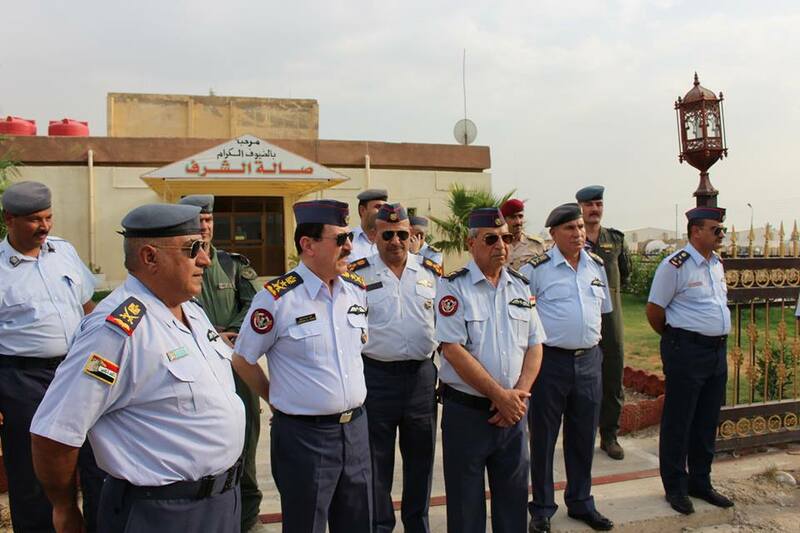 "The bodies of two of the crew killed in the crash of their Cessna Caravan in Hawija in March 2016 have been found," the air force said. 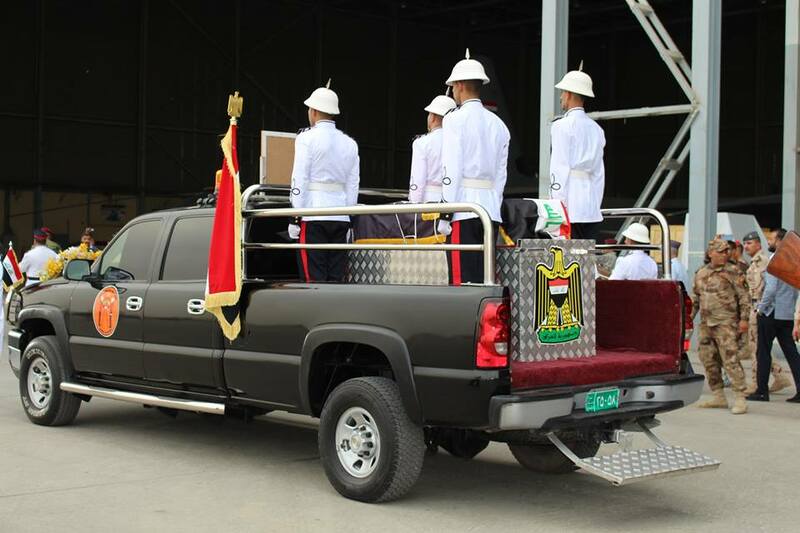 "The jihadists had hidden the bodies of Brigadier General Ali al-Ubudi and Major Mohammed al-Shikhli," it said, adding that a search was under way for the body of the third crew member, Colonel Mohammed Abdel Kassar. IS said it used anti-aircraft artillery to down the plane which had been on a bombing run against Hawija on March 16, 2016. 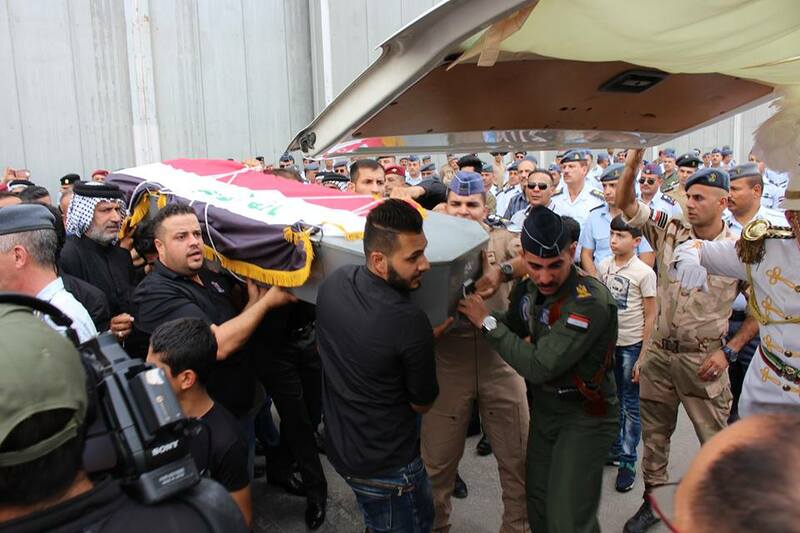 It released footage showing its fighters celebrating around the downed aircraft and the remains of its crew. In its combat version, the Cessna 208 can be used to launch laser-guided Hellfire missiles. 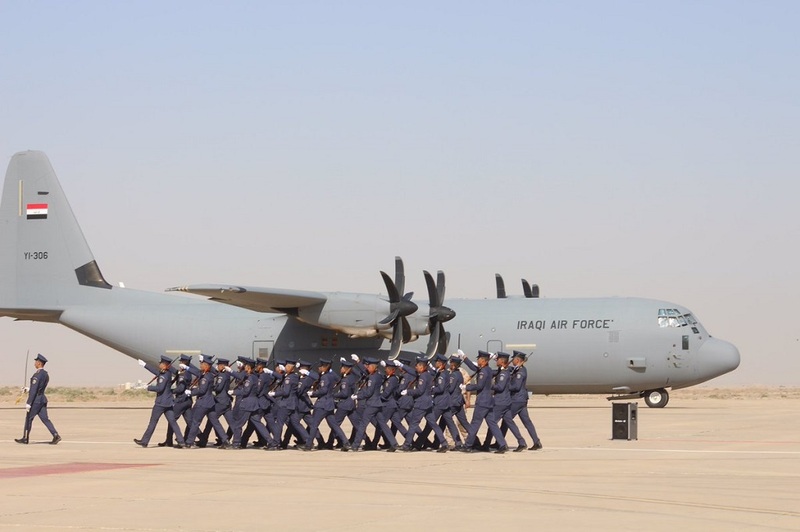 AL MUTHANA AIR BASE, Iraq --- The Iraq Air Force certified their first 7-level craftsman C-130 Hercules maintenance technicians in a ceremony, December 27, 2017. 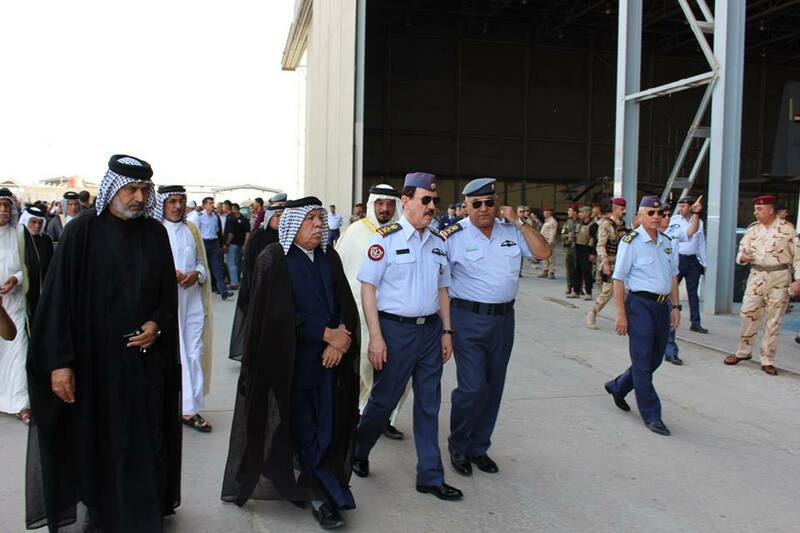 The occasion represents a landmark in the IqAF’s goal of achieving self-sufficiency through the development of its own skilled technical workforce. Currently they rely on C-130J contract logistics support teams to provide the same skills, at a cost of approximately $140 million per year. The new capability to train and certify craftsman technicians will enable the government of Iraq to redirect funds away from contractor requirements to efforts of rebuilding infrastructure and cities and promoting stability and economic progression. 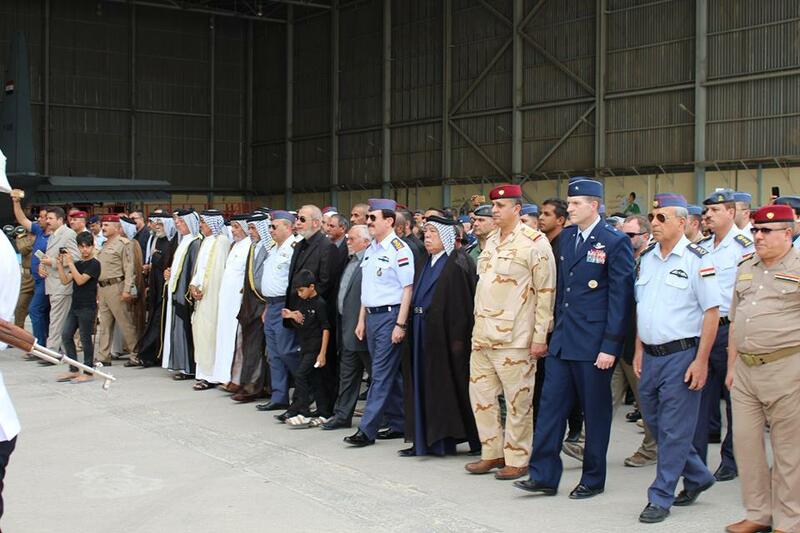 “Today marks another forward step for the Iraqi Air Force towards a brighter future,” said Iraq Air Force Brig. 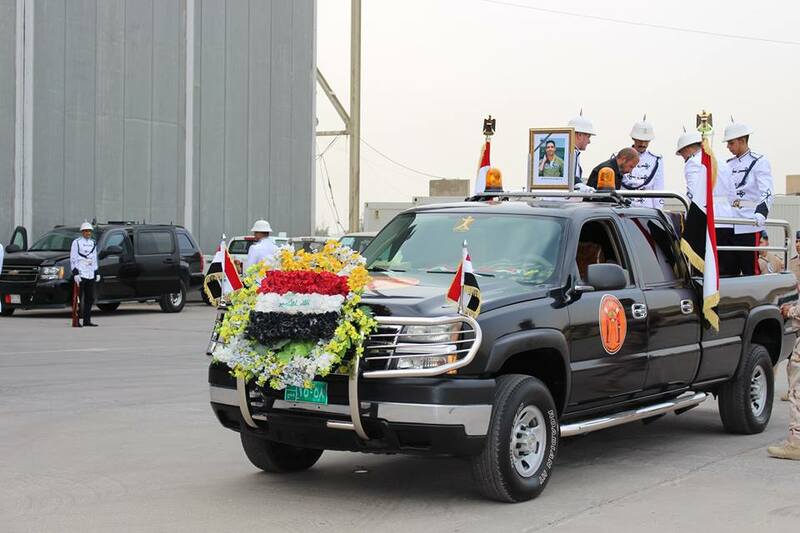 Gen Husni Khazaal Al maliki, Al Muthana Technical Wing commander. “A promising future that I could see reflected in the faces of all of our graduates, due to their achievements. The dedication and hard work are very appreciated by both the students and their instructors. 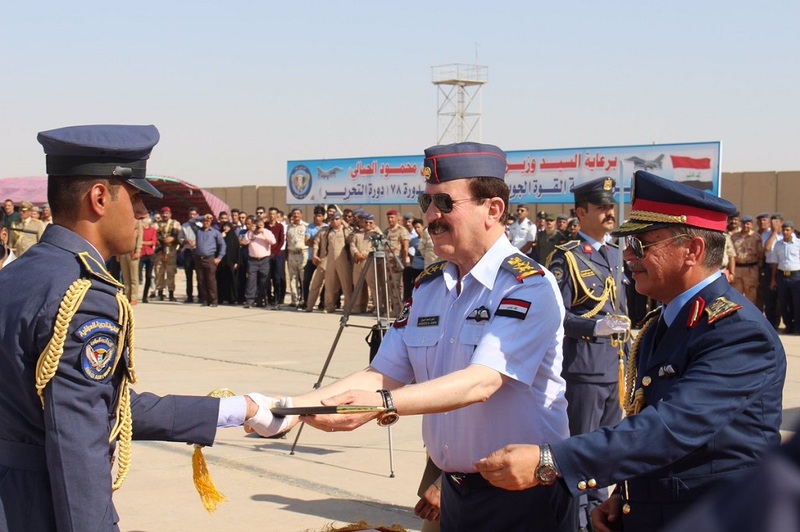 “At the same time, I urge all graduates to continue this hard work throughout their professional life in the Iraqi Air Force and to help this wounded country stand strong against enemies of humanity,” he said. This achievement wouldn’t have been possible without the coordination and support of the instructors and air advisors assigned to the 770th Air Expeditionary Advisor Squadron, who Husni thanked during the ceremony for making the sacrifice to help Iraq and for being away from their families and friends during the holiday season. In 2006, advisors from the 770th AEAS began introducing career field education training plans to IqAF work center. CFETPs are comprehensive education and training documents which identify the training requirements, and minimum core taskings, needed for technicians to be signed off as being proficient in a specific specialty. Upon a recent review of IqAF aircraft maintenance proficiency data, the advisors identified a critical shortage of certified 7-level craftsmen maintainers. Craftsmen are expected to be fully qualified technicians who have proven they are ready to fill various supervisory and management positions. The air advisors also determined there was a need to establish a maintenance training standard comparable to the United States Air Force, which requires 40% of qualified personnel to have their 7-level certification. 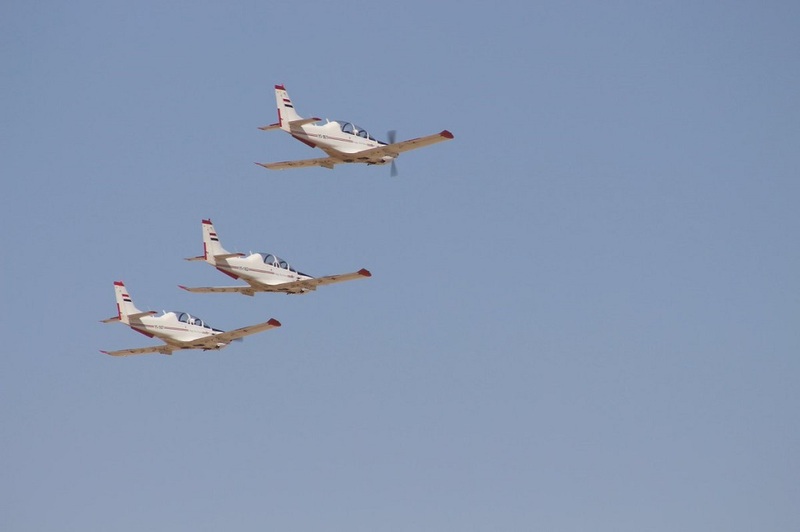 Lt. Col. Ronald Llantada, 770th AEAS commander said the 40% target of 7-level technicians of available assigned personnel will enable them to take care of their home station aircrew training and mission requirements. This will give them the ability to employ their C-130J aircraft at other locations dictated by their mission. Llantada commended his team for objectively assessing and identifying the training requirements required to improve IqAF capabilities, enabling them to achieve the self-sufficiency they desire. He said their work generated a great return of effort and set a path for their replacements to continue the forward progression. “As advisors, relationships greatly matter when trying to move the ball forward in a partnered journey,” said Llantada. “I would like to personally thank Brig. 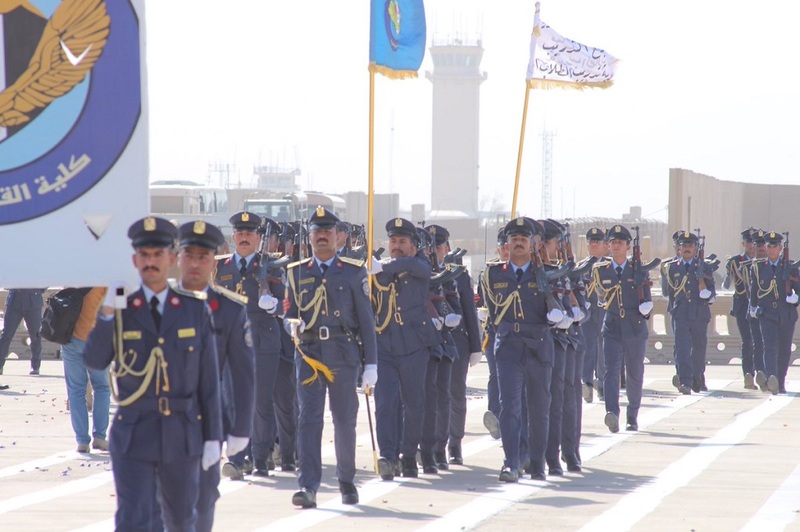 Gen. Husni for being receptive to our team’s recommendations, being ready to make decisions for the betterment of the IqAF and for his hospitality and a friendship." ضمن الجهود الكبيرة التي تبذلها قيادة القوة الجوية في تأهيل الطائرات التابعة إلى القيادة وتدريب أبطال كلية القوة الجوية على مختلف الطائرات من أجل رفد القيادة بضباط ومهندسين وفنيين، لتكون القيادة ومنتسبيها الأبطال على أهبة الاستعداد عند حدوث إي طارئ. احتفلت قيادة القوة الجوية، وبحضور قائد القوة الجوية الفريق الطيار الركن انور حمه امين ونخبة من الضباط، بإعادة تأهيل طائرات التدريب الـ T6 وطائرات السزنا كرفان، التابعة لكلية القوة الجوية لتبدأ مرحلة تدريب.